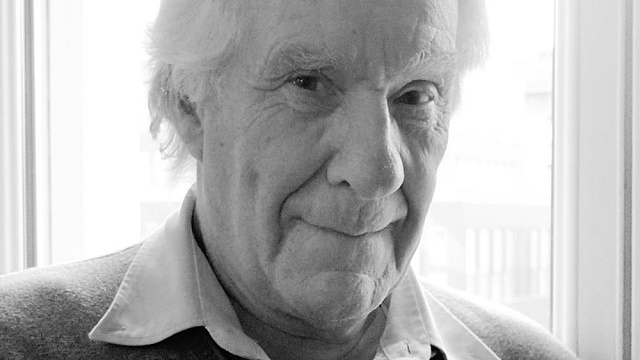 Andrew Robinson examines the conditions for the emergence of an Event through the lens of Badiou's theory of social exclusion, and explains why, for Badiou, a truly revolutionary process must begin from the standpoint of the worst-off. Alain Badiou’s revolutionary theory of political transformation focuses centrally on the idea of the Event. In the fourth through seventh parts of a ten-part series on Badiou, I will respectively explore the conditions, occurrence, and consequences of an Event, and its viability as an explanation and model of revolutionary change. Badiou’s theory of revolution is based on what I’ll call the excluded part. It has various names in Badiou’s work, which are more-or-less equivalent: ‘generic’ part, ‘singularity’, ‘foundational’ part, ‘void of the situation’ and so on. (Žižek gives it the additional name ‘social symptom’). Every situation is assumed to have a part of this type, for mathematical reasons. For Badiou, true ‘thought’ always goes towards the part which is least protected or sheltered in a situation. It orients to the most precarious or excluded part. This might be the sans-culottes in pre-revolutionary France, undocumented migrants in modern France, the proletariat in Marx’s day, the Palestinians in the Israeli regime, and so on. The excluded part is equivalent to the ’empty set’ in set theory, and also sometimes the ‘generic set’. It is characterised by not fitting normally or ‘properly’ into the situation. The excluded part is an element to which nothing appears to belong, as long as one observes it from within the dominant situation (or ontology). It is basically unrepresentable. The empty set has no content or properties. It is simply a formalisation of being, as ‘void’. It is a sign that there is more to being than what language or intuition can classify or perceive. There is even more to being than the state of the situation can represent. The void is the return of inconsistent multiplicity to disrupt the ontological order. The excluded part is the disruptive element from which Events emerge. It is also the foundation of social ontology. In Badiou’s theory, a social structure is always built on dysfunction. An order, with a count-for-one, is built on top of inconsistent multiplicity. The excluded part is the place where inconsistent multiplicity erupts back into the order which renders it consistent. The void marks a kind of reversibility of being. It shows that a particular way of counting, with its count-for-one, is not inevitable and fixed. In Theory of the Subject, Badiou suggests that the subject is a recurring point at which the Real exceeds its inscription in the situation. It is the point of the return of the repressed. In his early, Althusserian works, Badiou sees the motor of change as an instance of internal exclusion. It determines the structure, but is excluded from it for this very reason. This is a development of Althusser’s idea of determination in the last instance. At this point, the occurrence of change seems to be a matter of chance for Badiou. Only the direction of change can be altered. Change simply redistributes existing practices into a different order. In maths, the foundational role of the excluded part is played by the ’empty set’. The existence of such a set is posited when theorising the possible ways in which a set could be arranged in set theory – the same conversion which produces the ‘state of the situation’. This arrangement of possible elements always includes the option of a set which contains none of the elements, unless an axiom is used to specifically prohibit this. The excluded part has the characteristics of an empty set. It is effectively “void” in the situation, because it is not an element – so it counts for zero. And it has no elements of its own, and therefore no recognisable place in the situation. Badiou also sometimes identifies the excluded part with a set whose elements all belong to other sets. This would be a ‘generic’ set. We have seen above that belonging (presentation) and inclusion (representation) are different in Badiou’s theory. An excluded part belongs but is not included. It appears in the situation but not in the ‘state of the situation’. Hence it is ‘present’ but not ‘represented’. It belongs to the situation as a set, but it does not belong to any of the subsets of the situation (hence why it is generic). Only something which comes from within a situation can count as an excluded part. (As a result, events such as foreign invasions can never be true Events by Badiou’s standards). Another difference of an excluded part from a normal part is that its own elements might not belong to the situation. A normal element does not only belong to the situation itself. Any elements of this element also belong to the situation. For instance, if an army belongs to the situation, so do its different squadrons, ranks, and individual soldiers. There are also elements known as “excrescences”, which are part of the state of the situation and thus “represented”, but are not “presented” or visible in it. This might include sections of the “deep state”. The excluded part is different from both of these types of element, because it is present but not represented. It evades the count-for-one, and does not have a numerical value. Nothing can be seen in the situation unless it counts as one within the existing mechanism of counting. This means that nothing can be said for definite about the excluded part. It is not demonstrably part of the situation. Hence, while the situation is a mathematically ‘consistent’ presentation, the void remains ‘inconsistent’. Everything that is recognised in the situation’s count-for-one is demonstrably part of the situation. Therefore, the excluded part is very different from other elements. And it cannot be shown to be part of the situation. This part is not only excluded. It is also foundational. This is because it is the point at which inconsistent multiplicity is contained. In other words, there is always an excess of what exists – inconsistent multiplicity – over what can be represented in any particular situation. Normally, this excess is concealed by the state. The true structure of a situation is only revealed in moments of dysfunction or disaster. To take some political examples, it cannot be shown in dominant, racist terms that undocumented migrants “belong” in the countries where they reside, because they do not have the marks of recognised belonging such as citizenship papers. It cannot be shown in patriarchal terms that the male economy depends on women’s reproductive labour, because this labour has no recognisable exchange-value. Politically, this also means that the excluded part is subversive. The excluded part never has any interest whatsoever in preserving the existing order. It is pitted radically against the state’s preservation of the existing order. The existence of the excluded part is problematic and self-referential. In set theory, to exist is to belong to a set. The empty set does not belong to any other sets or multiples in the situation. If the empty set exists at all, it exists only in that it belongs to itself. Badiou argues that something analogous happens with excluded social groups and Events. The excluded group does not exist in terms of the categories of the situation. It exists only by reference to itself. Similarly, an Event has meaning only by reference to itself – not in the situation’s terms. In fact, the Event is not even permitted by set theory. (It violates the Axiom of Foundation, which prohibits sets from belonging to themselves). This means, for Badiou, that it is extra-ontological. It comes from the void beyond being. Every situation contains a part (or on some accounts, at least one part) which is excluded. This part cannot be viewed as an element in the situation. It is the element around which the situation is structured. But it is also the element which prevents the situation from achieving completeness, or positive existence. The excluded part is usually experienced as something anomalous. It feels to those who see it like it is out of place or disorderly, a violation of the proper order of the situation. Oliver Feltham’s rendering of this position is that, if something is an excluded part, it is ‘clearly marked by signs of excess and lack’. It is not part of the ordinary discourse, but is a point at which discourse is in some way distorted, like light around a black hole. In this, it is very similar to the Lacanian Real. To the normal parts of a situation, the excluded part seems to have nothing in common with them. Often, the group belongs to the situation, but it cannot be individuated. In other words, the mainstream or the state is unable to see the individual members of the group or category. Peter Hallward gives the example of racial stereotyping – to an anti-Semitist for instance, Jews all look the same. Similarly, anti-immigration bigots don’t see the situations of individual refugees and migrants – they only see aggregate immigration and its alleged aggregate effects. In many ways, this move turns the current discourse upside-down. A Badiousian can point to the outcry about the revolt of 2011, or Millbank, or J18, and declare that this outcry is actually evidence of the progressive, Evental character of these events. The more angry conformists get, the more evidence we have that we’ve found a real excluded part! Undocumented migrants are certainly an excluded group (though quietly integrated and exploited). But I would argue that, if there is a general category for those excluded today, it is their classification as “anti-social” or “unemployable”. There is a demand in neoliberal capitalism that everything be socially networked, exploitable, and non-disruptive of the dominant order. To make sense, everything must fit into the capitalist code. Against this system of meaning, anything which cannot be coded or exploited is subtracted and criminalised. What links together today’s Events and quasi-Events – from the London Insurrection of 2011, to migrant movements, the Arab Spring, El Alto, peasant land occupations, the banlieue revolt, Greek anarchist uprisings, and Chinese resistance to land grabs – is the revolt of those who cannot be coded and exploited, or who refuse to be coded and exploited. Undocumented migrants form part of this picture because they resist the segmenting of wages between different global zones, and the assignation of people as belonging to one zone or another. The global poor are too numerous to encode within capitalism. Dissidents and activists are too recalcitrant. Indigenous groups are too autonomous from market categories. Peasants stand in the way of resource exploitation. The so-called “anti-social” have no place in the body politic of stultifying conformism. The results of such an analysis run against Badiou’s politics. For one thing, they emphasise the singularity of the excluded, who often appear either as individuals, or non-standard collectives. For another, they reveal a kind of un-absorbable character of today’s resistances and social problems. They suggest that the suspension of the logic of the market, not the addition of axioms to it, is necessary to resolve this wave of struggles. The basic conclusion of such a line of analysis leads to insurrectionism, as in the Invisible Committee’s view of revolt, or Bonanno’s discussion and included and excluded. It thus runs against the quasi-hierarchical, austere, representational, almost orthodox Communist organisational style Badiou prefers. Like other aspects of Badiou’s theory, the excluded part is altered subtly in more recent works. The excluded part still appears in the theory in Logic of Worlds, but is termed the ‘inexistent’ – a part which has no existence in the sense of appearing as self-present. It is taken to be a trace of the contingency of whatever appears. Every object has some inexistent aspects which do not appear in its place in the world. These are the flip-side of the parts which are ‘existent’ or which ‘appear’ in the situation. An excluded part has a maximum degree of inexistent aspects – it isn’t seen, or is barely seen, in the situation at all. In Logic of Worlds, Badiou also fuses the Evental site and the Event into a single concept. He also replaces the natural/historical distinction with a distinction between tonal and atonal worlds. It is not just a matter of a group being excluded. Usually, people assume an excluded group could just be included, through small reforms. For Badiou, a radically excluded part is not only excluded. The whole situation is founded, or built, on its exclusion. The group can only be recognised – even treated as human, or seen as individuals – if the situation is radically changed. Badiou ascribes to the excluded part various characteristics derived from its mathematical character. It is always in fact the basis of the situation, even though it is invisible. It is ‘the absolute neutrality of being’, which is to say, the contingency of being when being isn’t subject to a count-for-one. The group also has no distinguishable parts (as it is an empty set). It cannot be divided into sub-groups. This claim is problematic in political terms. To take Badiou’s examples, nineteenth-century workers were subdivided into different work sectors, regions of origin, and places in factory regimes of control. Undocumented migrants are highly differentiated by different migration statuses and countries of origin – for instance, between asylum seekers, refused asylum seekers, people with leave to remain, people who are completely off the grid. Migrants are often grouped by ethnicity or religion in particular areas, such as the “jungles” of Calais. Fundamentally, the excluded part is immeasurable. In the terms of the dominant discourse, it can’t be determined that it belongs to the situation at all. The excess of the parts over the situation cannot be measured. It can only be decided. In other words, someone can choose to recognise the existence of the part, or to deny it. This is a choice between the Event and the state. The excluded part is also sometimes talked about spatially. Badiou refers to it as the Evental site – the position from which an Event can occur. In his early work, Theory of the Subject, he refers to the situation as a ‘splace’ (esplace) and the Evental site as an ‘offsite’ or ‘outplace’ (horlieu). The excluded part is said to be located outside its place by the structure. Change occurs in the struggle between the offsite and the splace. The division between the offsite and its site is the motor of change. The main change in Badiou’s later work is to suggest that change comes from specific points, not a general field which is excluded. In later works, splace is replaced by multiplicity or situation. The role of the excluded part is similar. It arises where the situation intersects with the chaos of inconsistent multiplicity. This site is not itself the void, but exists on the edge of the void. In such a situation, some subsets or elements are always unnamable. It is this site which ensures the specificity or location of a truth-procedure (see below) within a situation. In other words, the Event and its unfolding happen at this particular social point. In Logic of Worlds, the concepts of Event and Evental site are fused together into one concept. The excluded part also has philosophical significance. For Badiou, there is always a remainder, which marks the gap between being and knowledge. True thought, according to Badiou, is something which relates to the nothingness or void, rather than relating something specific. In Logic of Worlds, Badiou suggests that most contemporary philosophers believe that there are only bodies and languages. Badiou adds that there are also Truths. These are closely related to Evental sites and excluded parts. I’m inclined to think of the Evental site as a point of radical exclusion. Feltham frames it somewhat differently. From the state’s point of view, the excluded part or Evental site is on the edge of the void. From inside an Evental site, it seems to be an intersection between two situations. Undocumented migrants, for instance, are usually caught between a postcolonial and a post-imperial society. This intersection appears as a void because it is not recognised by the state (or dominant discourse). Yet the intersection is real. It is paradoxically the ‘impossible’ demands of the left, for recognition for migrants, which are realistic in this context. Nationalists are unrealistic in denying this real intersection. The excluded part is internal to the situation and external to the state (which is why the state often misrepresents Events as the workings of external agents). The situation always has an ideology. Badiou understands this term in a broadly Althusserian sense. Ideology organises the parts of a situation so as to maintain the structural repression and invisibility of the excluded part. The state of the situation cannot determine that the excluded part belongs to the situation. It feels threatened by this part, which has no interest in the status quo. So it resorts to forms of naming which attach labels so as to exclude or suppress the part. In general, the state of the situation will remain intact if it can successfully attach a collective label to the excluded part and Evental site. This might consist of things like calling protesters “extremists” or “terrorists”, criminalising dissent, or dismissing a minority as fanatical or backward. Such moves entail denying the basic structure of the situation – the fact that it is built on top of the void of inconsistent multiplicity. Any sustained investigation of the Evental site will tend to undermine the viability of such labels. In other words, looking too closely at any situation will tend to call it into question. According to Badiou, the state of the situation (the political state and/or dominant discourse) can usually block such investigations. To people included in a situation, the situation will seem complete. Its ideology will seem convincing. Only an Event can break this blockage and make the Evental site visible. An Event effectively has to smash a hole in the dominant language so as to pass through it. Like some chaotic Lovecraftian monster, such extraordinary occurrences effectively rupture being as such. Earlier, I discussed the problem of the inevitability of the state. There is a related problem that exclusion seems to be inevitable for Badiou. Because it is structurally necessary, it has to reappear in any new situation. Badiou assumes that every social situation necessarily has an excluded part and Evental site. However, this is something he simply posits (when he insists that social situations are of the “historical” type). Evental sites might not exist, for example, in situations whose “state” is a diffuse local knowledge system. No part necessarily appears to be “founded on nothing” in such a knowledge system. Indeed, this kind of scarcity-based thinking seems to be alien to such systems. (Some indigenous maths systems don’t recognise the number zero). What if not all social situations have an excluded part? This is a dangerous path to take. Badiou’s appropriation of labels such as “historical” and “natural” leads to the impression that such an objection means that there are natural human societies which do not have history. These kinds of stereotypes are unhelpful when thinking about cultural difference. But there is no reason to stick to Badiou’s usage of such terms. We might instead think about societies which do not have a constitutively excluded element as abundance societies, and those with a constitutively excluded element as scarcity societies. We might then think about abundance society as a common type of human society, characterised by local knowledge, diffuse power, subsistence and solidarity economy, and indigeneity. Scarcity society is a rare type which arises, perhaps, when somebody inserts constitutive negativity in some way. The whole path of human history from the rise of scarcity onwards could then be problematised. This would also solve the problem of Badiou’s implicit conservatism (the claim that there must always be an excluded part). Another difficulty is that Badiou treats a generic or unmarked part as the radically excluded part. This runs against the usual practice in postcolonial theory to use the term ‘unmarked’ mostly for the most privileged group in a situation – the group which is identified with ‘humanity’ as such. An undifferentiated stick-figure is assumed to be male, a face which is not specifically coloured-in is assumed to be white, and so on. This term becomes the ‘unmarked’ term, whereas bearers of difference (gender, racial, etc) are ‘marked’ as having this difference – i.e. what Badiou would call a lesser degree of appearance. Postcolonial and post-structuralist theorists would question whether a true general interest can exist. They would argue that a universal is always an ‘unmarked term’, a ‘global-local’ or a ‘hegemonic’ term which is really particular, but is dressed-up as universal. Badiou’s account of the unmarked term is almost the opposite of that found in post-colonial theory. For most scholars, the unmarked term is the dominant term in a particular field, which is rendered invisible and therefore dominant – white, male, and so on. For Badiou, it is the radically excluded who are truly unmarked. Badiou is not arguing that straight white men are the Evental site. Rather, he is arguing that the most radically excluded groups – undocumented migrants, proletarians in the nineteenth century – are actually ‘unmarked’ and ‘generic’, carrying the status of humanity as such. In effect, Badiou assumes that the privileged are assigned marks or privilege – documents proving one’s status, for example – which arrange them in subsets, and not as unmarked terms. Badiou’s doing this so as to preserve the ability to articulate a ‘politics of the same’, starting from a general abstract equality as ‘ones’. In a sense, it is true that a truly ‘unmarked’ person would be excluded. Social Others are seen as ‘feral’ or ‘uncivilised’; sans-papiers are not ‘marked’ as having papers. But it seems to me that excluded groups are also marked – with stereotypes, labels, ‘marked terms’, differing migration statuses, criminal records, presence on various databases, and so on. So Badiou can’t really avoid the problems which the status of unmarked terms create for his theory. For this reason, Badiou’s approach seems to work badly when applied to situations where exclusion operates along ethno-nationalist lines. For example, Badiou’s insistence on formal equality is dangerously close to the arguments of French racists opposed to the veil. To be sure, Badiou opposes the campaign against the veil. But he seems unable to see the complicity between his own particularity-blind universalism and the intolerance arising from similarly universalist, colonial doctrines. What happens when opponents appeal to an alternative universality, and not to a communal concern? Can Badiou still uphold a Truth when faced with a rival Truth? I would disagree with your last paragraph – I find it conflationary and actually misrepresents Badiou’s actual position.He clearly makes a distinction between an Event and a simulacrum of an Event (pp. 72-77, Ethics) as it relates to universalism and equality. Yes, he distinguishes true and false Events – I discuss this later in the series. But I’m not sure this addresses the point I’m making in the last paragraph. Basically, the argument on Ethics 72-77 concerns apparent Events which aren’t true Events because they don’t come from the void – his example is Nazism. It’s easy to show that Nazism and other explicitly racialist nationalisms start from a substantive identity and not from abstract equality. But what about civic nationalisms which start from claims about equality? What about cases where an abstract universal provides the basis, or the excuse, for racialised exclusions? The thing about the Affaire du Foulard in its various incarnations is that the Islamophobes deploy precisely the kind of particularity-blind abstract universalism Badiou advocates. They claim roots in the French republican tradition (secularism, equality before the law), gender equality and so on – whereas defenders of the veil have reference to particularities. So Badiou’s response regarding Nazism does not really address the Affaire du Foulard. It’s pretty easy to frame the Islamophobic position as a “forcing” of the republican revolutionary Event, the socialist Event, the feminist Event and so on. This isn’t an isolated case, because certain postcolonial and decolonial theorists – Mignolo and Chatterjee for example – argue that abstract universals *as such* are epistemically Western and colonial. For Mignolo they’re the root of ‘global designs’ – abstract universals require such designs as effects – and for Chatterjee they represent the exclusionary public space, in contrast to the “private” or communitarian realms allowed to the oppressed. It’s a problem Badiou doesn’t seem to have thought much about, because on some level he believes in global designs, he believes in the progressive power of modernity, the subtraction of the particular and so on. The other thing I’m getting at here is that two Truths, each stemming from a real void and a resultant real Event (not a simulacrum of an Event), can produce different positions. For instance, the classic revolutionary “all men are equal” and the 60s-wave rejection of discriminatory structures lead to different positions on the issue of affirmative action. The socialist position that ‘the factory is a political place’, and by extension that all of society is political, would lead to different conclusions from the critique of the state with regard to the desirability of strengthening the state to enact redistribution. I don’t think we can deal with these situations by saying that one of the Truths is not really a Truth, or that one of them is being ‘forced’ incorrectly, in (e.g.) an obscurantist manner. They’re real collisions of two Truths which are genuinely Truths.